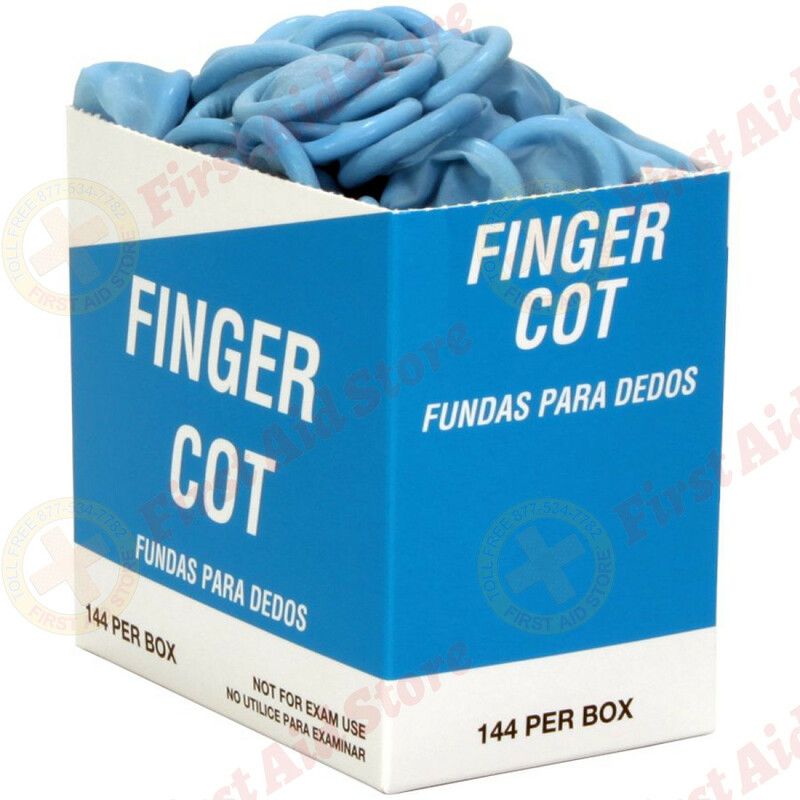 Keep injured fingers protected and moisture free with these blue finger cots, designed specifically for food service and processing. The flexible cots cover bandages and other dressings on fingers to keep dirt and moisture out. 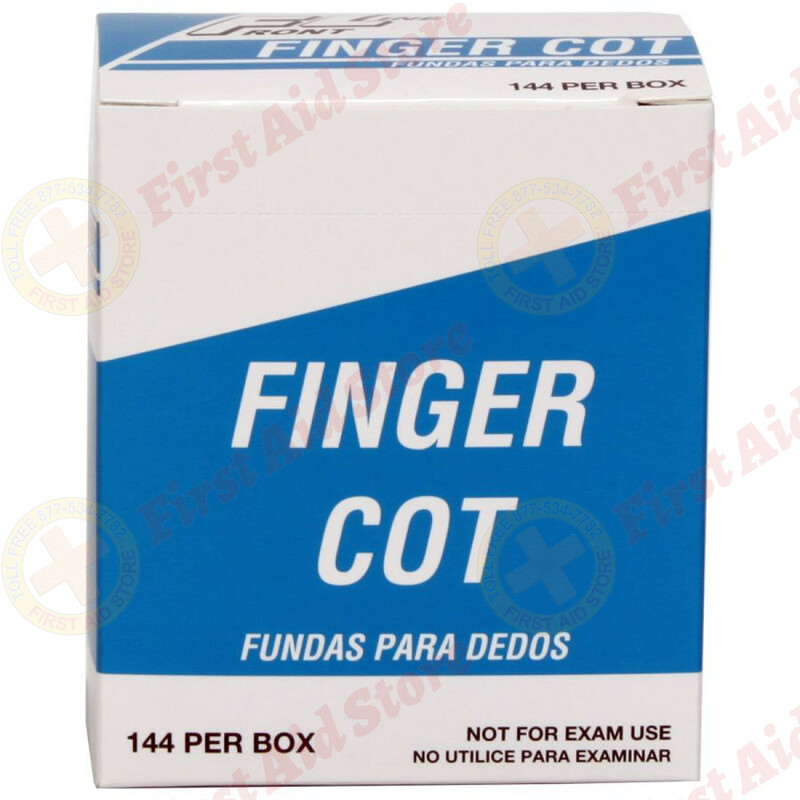 Ideal for hard-to-bandage fingertips. 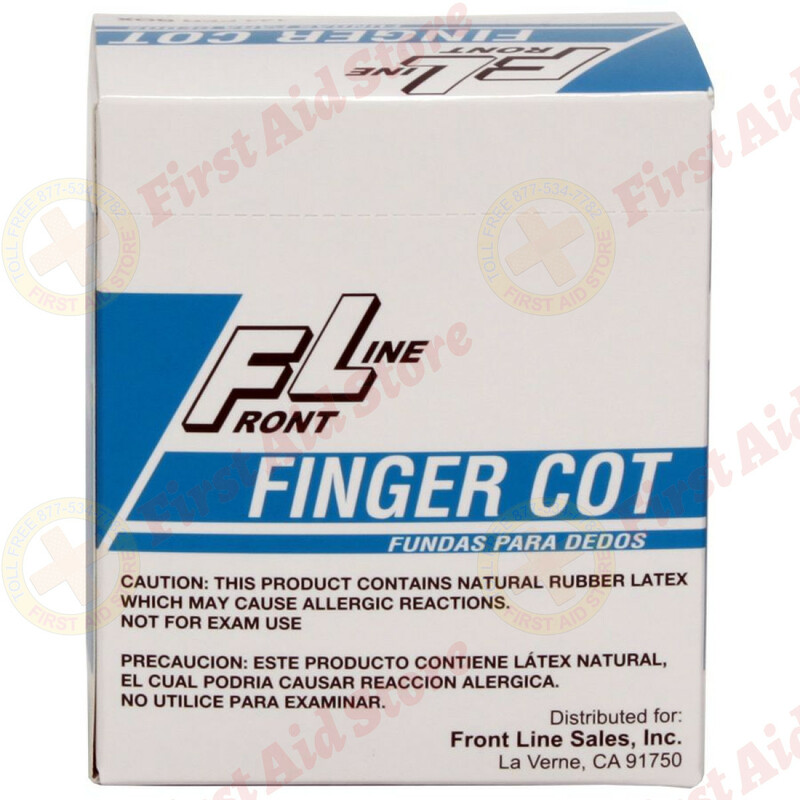 Finger Cots provide temporary protection for your fingers while injuries are healing. 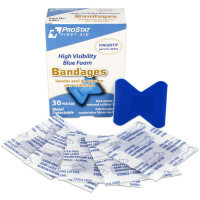 Protects cuts, burns and blisters from moisture and dirt. Ideal for hard to bandage finger tips. Product contains Natural Rubber Latex. 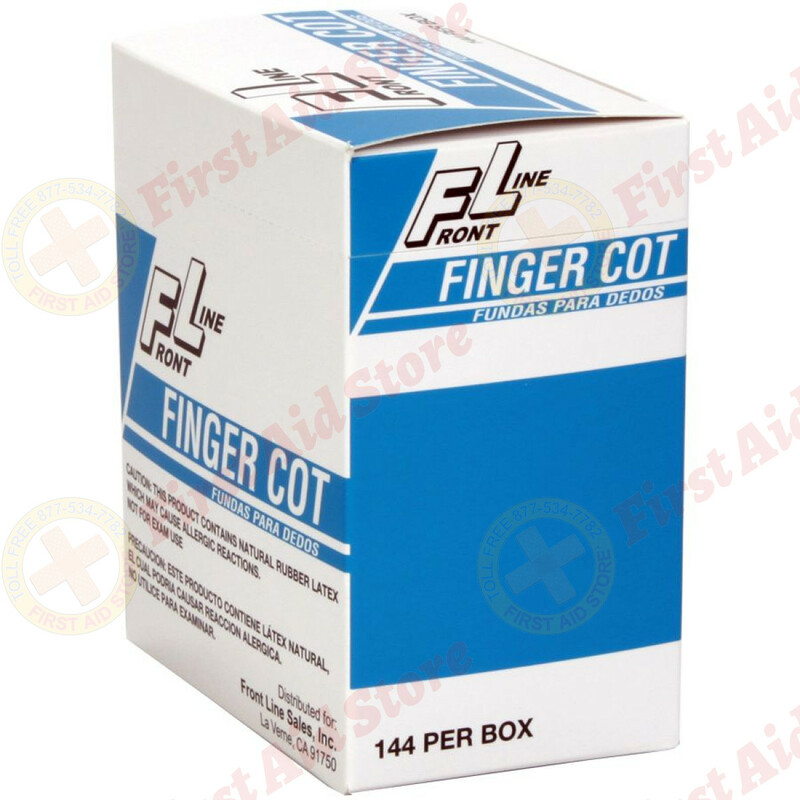 The Front Line Blue Finger Cot, Medium, 144 per box.